Christmas Holiday Open House at 645 Monterey Pine! Call or text Tammy for time and dates at (760) 937 7300 or Contact Here. 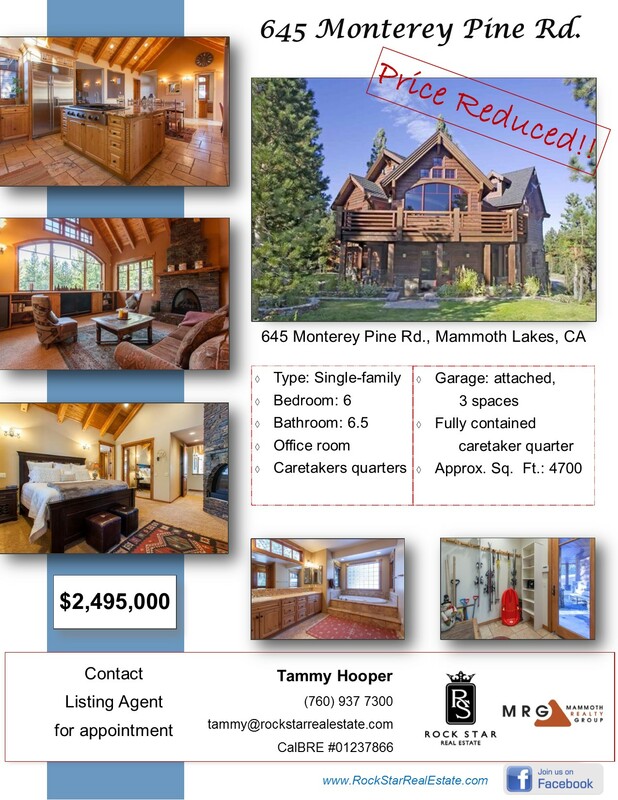 The rugged beauty of the Sierra Nevada mountains, the access to numerous outdoor activities, prime skiing access to the slopes during the winter...yes, Mammoth Lakes is a fantastic location to enjoy a luxury home: and this property at 645 Monterey Pine has it all!